Fill out the form with any questions or inquiries you have for the sales consultants at Baker's Glen. You can also call or chat with us for immediate responses. Turn left on Seasons Rd. 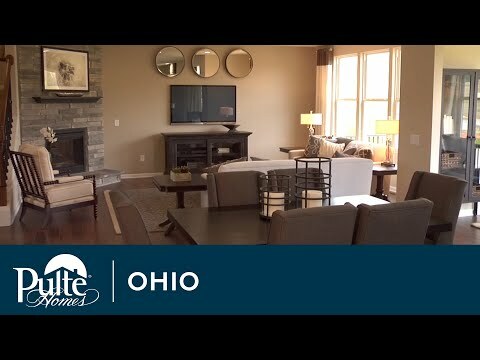 Nestled in a wooded setting, Baker’s Glen is fifteen minutes from downtown Akron, the Cuyahoga Valley National Park, and Blossom Music Center, with easy access to Rt. 8, the Ohio Turnpike, and downtown Hudson. Our collection of affordable two-story homes feature thoughtfully designed spaces from bonus rooms to Pulte Planning Centers®, and dedicated Owner’s entries. With over 350 acres of parkland nearby and quality Stow-Munroe Falls City Schools, it’s easy to call Baker’s Glen home. The life you want to live is waiting for you at Baker's Glen. Explore this community and see for yourself. Find an active lifestyle at Baker’s Glen. Stay fit hiking or biking the nearby trails, take a nature walk in over 350 acres of parklands, spend a day with your furry friend at the award-winning dog park, or enjoy a summer concert at nearby Blossom Music Center. Residents enjoy close proximity to Hudson’s First & Main, everyday shopping, Rt. 8 and the Ohio Turnpike. Stow is conveniently located between Akron and Cleveland, with easy access to major highways. Discover abundant recreational opportunities, including over 350 acres of parkland, a softball and baseball complex, soccer fields, over 12 miles of hiking and biking trails and an award-winning dog park. With highly-rated Stow-Munroe Falls schools, nearby shopping and everyday conveniences such as Giant Eagle, Kohl’s and Target, and medical facilities, your home offers everything you need within reach. 67 homesites located off of Darrow Rd. Take advantage of the rare opportunity to own a model home. Enjoy the perks of upgraded finishes. All window treatments, bedding, rugs and wall art remain with the home!